Oh dear here we go again. In West Coast they are under 10 feet of water in some place. No wonder they called for the Army to help. “The fire service has met that need through its national specialist vehicles and trained staff,” he said. 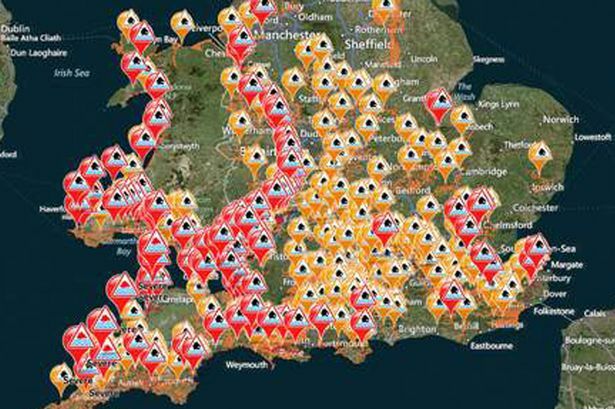 But he added with the “potential for high winds and high tides and more rain” over the weekend on an “already soaked catchment” there was potential for further flooding. “With that in mind we’re still working very closely with the military who remain in Somerset, planning with us,” he said. 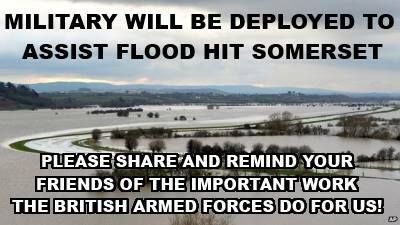 They thought they could manage on their own with the Fire Services but flooding and high tides this weekend has brought danger and the Army is helping it does need all hands to the pump. Well the winds are really blowing tonight how much more of this have we got to put up with it. Now we know that Steve is definitely taking part in this Phase 1 study, I thought it might interest you to know a bit more about it. If you want to know more about clinical drug trials and the difference between phase 1 and later phase trials click here, this link with take you to the Cancer research UK website where it’s explained very clearly . The first part of the trial is a “dose escalation” study. In this phase, 9-24 patients will receive vandetanib and a low dose of selumetinib to establish a safe dose to recommend for the next stage of the study. If they don’t have any serious side effects, the next cohort of patients will have a higher dose of selumetinib, and so on, until they find the best dose to give. Update: Mesothelioma & the LASPO ActIn a short debate in Westminster Hall yesterday, Tracey and Parliamentary colleagues raised their concerns over the implementation of aspects of the Legal Aid, Sentencing & Punishment of Offenders (LASPO) Act 2012 and specifically, how it will impact on mesothelioma sufferers pursuing compensation. Tracey has previously campaigned to exempt mesothelioma sufferers from changes within the Act regarding no-win no-fee arrangements and helped secure amendments as the legislation passed through Parliament last year, including the requirement for the Government to hold a review before implementing its changes. My thoughts go to Bill and Betty –Gorman as we Campers know him by. We slept lovely last night back on our right places in the bed. How silly that you notice the difference. I did take extra drugs though so that was good. Oh dear we have been told we are going to have this weather for another 2 months. I dont think our roofs will take all the high wind and we will be lucky to have all the slates on by summer. 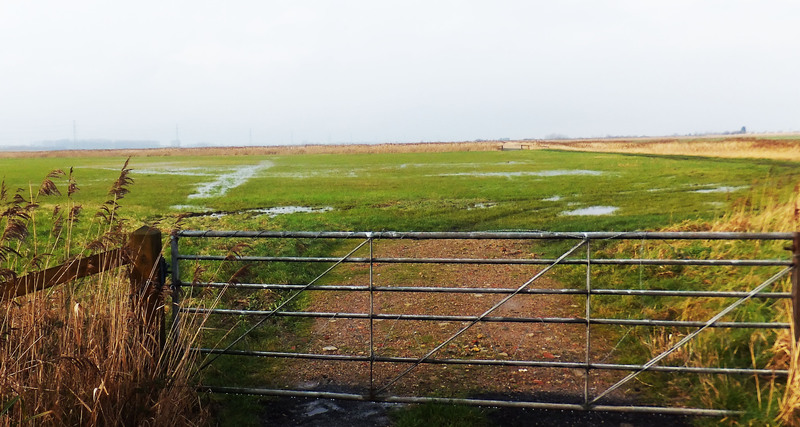 The Salt marsh’s are getting better and the water has drained back for the lane so we shall see if the water can drain back after the next storm that is coming to blow us away at the weekend. We Did get out for a ride to the Station to buy the tickets for London Sunday, Ray went in and I walked with Louis round the road and then I stood and waited for Ray. I walked into the Carpark and Ray was there waiting for me. I didnt think he would be served that quick. I have to share this with you, I know we dont always get the weather but just look at these places in UK. Im going to put this into our touring in the summer and have a look at our wonderful country. I missed this when we went to Cornwall. There was a piece today in a Scientific paper. Washington — People who smoke or have lung cancer should think twice about taking vitamin supplements, according to a Swedish study Wednesday that showed certain antioxidants may make tumors grow faster. Lab mice that already had cancer were given vitamin E and a drug called acetylcysteine, which sped the growth of their tumors and made them die faster than mice that did not ingest supplements. Just as Im using supplements. 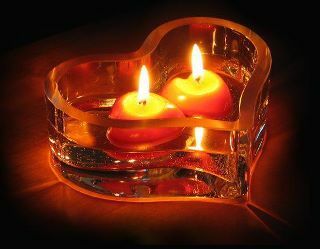 Nowadays we just dont know how to proceed, what is good and what is bad. I think I have to stop playing around and eat my veggie meals and loads of fruit and loads of fresh vegetables although I have found out that Vitamins do not fade in cut fruit and Veg . Si you can buy a weeks shopping of them and keep them in the Veg box in the Fridge. Living With Mesothelioma -My Diary – A New Trial starts in UK and guess what it rained again. This is getting boring but it rained all night again. I asked Ray last night if he would swap side with me in bed as it easier for me to get up in the night. Gosh I should have kept quiet, I kept waking up with so much pain in my bad lung. I kept rolling over on my left side and the left lung really didnt like it. I kept dropping off to sleep and waking up. So I have had to take pain tablets most of the day. It makes me realise my ribs are weaker in the left side as well. I got up but I felt so much better for being out of bed. I will sleep back on my side tonight. This trial is looking at a drug called defactinib to treat mesothelioma that started in the sheets of tissue covering the lungs (pleural mesothelioma). Unfortunately, it can be difficult for doctors to treat pleural mesothelioma. You may havechemotherapy, but researchers are looking for ways to improve treatment. In this trial, they are looking at an experimental drug called defactinib. Defactinib is a type of biological therapy. It stops signals that mesothelioma cells use to divide and grow. The trial is comparing defactinib with a dummy drug (placebo). It is for people who have recently had chemotherapy and when they finished this treatment, their mesothelioma had got smaller or stayed the same size. Each one of us has Meso in different ares of our bodies. Talking a friend that has just sent some recipes to me, after 53 years married its hard to know what to make for dinner. 19 345 dinners ha ha !! I went out today to get some fresh air so we went to shop local and buy fruit and salad and carrots. Carrots seem to be a wonder Veg for the vitamins to boost the immune system. So Im juicing well and eating very healthy. No wonder I liked going out for a meal for a rest !!! 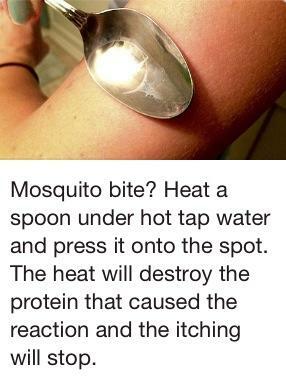 Found this today which if it really does work it would be good for the summer nights we sit outside in a camp site, cant wait to see if it works . Plans have been agreed for a major redevelopment of Medway’s A&E, which last year was branded “totally unsuitable” in a NHS report. The developments will cost up to an estimated £5 million and key sections will be completed in time for winter 2014/2015 when the emergency department is under the greatest demand. I was in one our meetings when this was discussed As Medway Hospital is part of the East Kent Hospital, so its great to see it is going through. Im really going to have to wrap up warm and get myself moving again, it is so easy to stay in doors but I feel I will end up being a recluse !!!! I have been studying all the juicing and veggie to really help me to be serious I have managed for two days so its 1 day at a time. Its is of an Interview of my Camping friend Michelle and the Food Train She runs. Food Train began in Dumfries in 1995 following a community survey of older people that found many of them struggling with their weekly grocery shopping; an idea was developed to ease this burden on older people. A partnership of local shops and volunteers formed and Food Train began making deliveries of fresh groceries to older people in need with the help of local volunteers and shops. Food Train operated very successfully in Dumfries town area between 1995 and 2002 but the founder members knew there was potential to expand the service across the region. A four year funding package from the Scottish Executive ‘Better Neighbourhood Services Fund’ awarded in 2002 allowed staff to be recruited to develop Food Train and deliver grocery support across all Dumfries & Galloway. By 2006 the grocery delivery service was fully operational across the region and the Board focused on the evidenced needs of the members and developed Food Train ‘EXTRA’ – an additional home support service. More recently a third service has been added in Dumfries & Galloway, again responding to the needs of our elderly members with a befriending service helping those experiencing isolation and loneliness. In 2008 we began researching, planning and preparing to expand Food Train into other parts of Scotland. With support from The Scottish Government, Community Food & Health (Scotland) and The Rank Foundation, we have been able to expand Food Train into West Lothian, Stirling, Dundee, Glasgow and Renfrewshire, providing food access solutions to many more older people and clearly demonstrating our ability to transfer our successful model geographically. Food Train is now a thriving multi award winning Charity supporting older people in 6 local authority areas in Scotland, with a view to developing further and wider across Scotland to bring food access to all Scotland’s older folk. IATP Invites you to join us at the beautiful Cranage Hall, Cheshire CW4 8EW for the 2014 Annual Dinner ” The Great Gatsby”. Saturday 8th March 2014. The Dinner is a formal event aimed at awareness and funds for IATP’s chosen Charity DAST (Derbyshire Asbestos Support Team) The evening also includes the IATP Recognition Awards which honours individuals for their work and contribution across all areas of the Asbestos Industry. 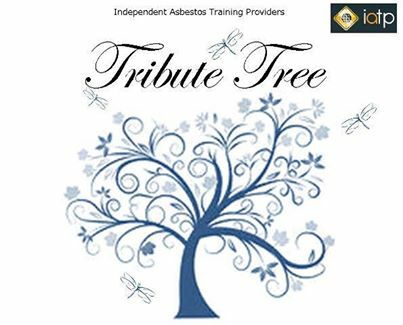 The Tribute Tree will be at the Annual Dinner for anyone to pay tribute to family & friends that they have sadly lost to Asbestos Related Diseases. It is also there for individual to pay tribute and honour those that are still fighting these awful conditions. The idea behind the Tribute Tree is not only to allow others to put special messages to there loved ones on, but as a visual reminder of the tragedy asbestos can bring. There will be no fee to put tags on, but donations are welcome, which will then either be passed on to charity or used to set up some kind of permanent tribute. You don’t have to be attending the Annual Dinner to put a message on the tree. Tag will be available to request from the start of next week. Please feel free to email events@iatp.org.uk for more information. Living With Mesothelioma -My diary- Lots of advice on my eating today. The sun did actually show today but rain and last night a little snow so we are getting colder. If anyone receives an email from me with just a link -dont open it Im having to scan my computer to get rid of what ever sent out to my contacts. Lucky it is going into spam most times. I do feel so embarrassed when people email me to tell this has happened. It happened once before but at least this is going into peoples spam box. Mavis why dont you try this veggie diet, cancer is microscopic, its the cell that are mutated so i figure work at what we know, cancer cells need energy to enjoy the day, deny it the sugars the fats that run thier little motors and make it as hard on them little monsters as you can — Iask what to eat at night when Im hungry –apples cherry grapes sweet potatoe or maybe ill eat a cashew butter or almond butter and jelly sandwich –when you think you eat such a variety it doesnt seem to bad. http://premaseem.wordpress.com/2012/12/19/how-to-avoid-cancer/ this is the most sensible blog I have read that explains to me where Cancer comes from and why I should give a Veggie diet a chance. I just cant believe the heavy rain that is falling down and the high winds . Yesterday we had what I thought was a small tornado as it took some cardboard round and round and dumped them onto the garden. Last Night I kept chatting to Linda who had flown in at last after a days delay at Guernsey, she finally got to Bassingstoke station just as they stopped the trains because of a tree on the lines. How frustrating. I chatted to her to keep he company as Steve had a 1.5 hour journey to her from Oxford. Today is another wash out. the winds blow up so strong and then the Rain really hurts if you are out in it. What makes me laugh that you would thing the car and the M/home would be so clean but they are not, although it is a good idea to wash down the M/home in the rain as it takes all the soap off, I cant convince Ray though !!! My Son phoned and said he had ticket for Sadler’s Wells –Oh Ballet, Swan Lake , no Bollywood. Oh Great I have always wanted to see a professional dance. So I can tick this of my Bucket list !! So that is in my diary for Feb.
Its been a case of sitting around looking out at the rain But I have seen some good telly so Im not that badly off. I found it very funny but Ray went tom his computer, bless him. I have got to share this I put it on my wall in Facebook. PLEASE SHARE: It could save a mans life!! This story posted by a guy on Reddit really amazed me. Basically he was in his bathroom one day and found his ex girlfriends pregnancy test kit. For a bit of a laugh he decided to pee on it. PLEASE SHARE: It could save a mans life! !This story posted by a guy on Reddit really amazed me. Basically he was in his bathroom one day and found his ex girlfriends pregnancy test kit. For a bit of a laugh he decided to pee on it. To his utter shock and surprise, the results came up with 2 lines as per the image below. This as we all know basically means he is pregnant right? Well obviously he is not pregnant but he thought it was really funny anyway. He took to Reddit where he posted the picture. In the comments someone said “if this is true, you should check yourself for testicular cancer” and that he needed to get to his GP as soon as possible. It was lucky this chain of events happened as when his GP checked him over, it turned out that he had testicular cancer. He was fortunate enough to catch it in the early stages. So what is going on here? Well the pregnancy test is actually looking for something called Human chorionic gonadotropin HCG This is produced in the placenta of a woman and is thus a good test of pregnancy. It turns out that HCG is also produced by men who suffer from testicular cancer. Dave Wybrow It is true since the hormone level (Chroionic Gonadotrophin) is raised EITHER by pregnancy (female only of course) or by some forms of testicular cancer – (male only of course), so this is true….. I don’t think anyone is suggesting this should be the only way of checking – far from it and I doubt that many blokes would even think about doing it….. the key point is self examination and then see the GP and ask for an urgent referral if you are not 100% happy. Some GP’s are not as well versed as others……. In the end the key point is to check oneself and if unsure get professional advice RAPIDLY. Living With Mesothelioma -My Diary- A quieter day. Woke up yesterday and remembered I had to get up early as I had ordered shopping on line. I do hate walking around the supermarket and Im picking up things but when I get home I dont fancy them. So as Waitrose were offering free delivery and a bottle of Champagne, I would give them a try. Their shop is in Canterbury but as we only go by bus into Canterbury and the shop is a way from the High Street, I have never been in there. Dead on 10 o’clock the van arrived and the young man that delivered , was very pleasant, very efficient. Im very impressed by the shopping. Price’s are on par of Marks and Spencers unless you buy 3 of everything –3 for the price of two., then it is cheap, but then again I dont want 3 of everything. By the time I put all that away in the cupboards, fridge and freezer, it was time for a cuppa and a sit down. Messages of sympathy have poured in for Jan such a unhappy time for the Warriors. Frightening for those of us that are advanced in the disease. Especial Tess and I as the woman with the Meso are now very thin on the ground and so its getting harder to talk to people about the different things to do with Meso. Men dont come on the Facebook and talk so freely as women. There are many carers and they do say what their partners are going through. I will put a donation To Macmillan. 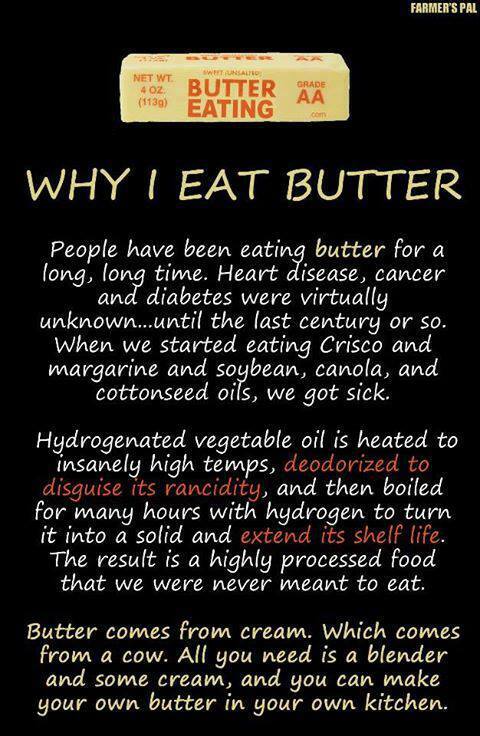 It was supposed to clog up arteries once but no mention of that now. Sweeteners are bad so I suppose we should go back to sugar??? We live in a funny old world and You should have what ever you want–within reason. Just a little one ! !